Because we gather certain types of information about our users in order to make their experience with us even more satisfying, we want you to understand what information we collect about you, how we collect it, how that information is used, and how you can control our disclosure of it. c) information that is derived through automated tracking mechanisms and technology. We collect information from you, when, among other things, you register online, update your account, log-in, shop online, place an order, and/or communicate with us. This information may include, but is not limited to, your contact and payment information, including debit and/or credit information. We may use automated tracking mechanisms to collect information from you and later use that information to make the Website more useful and interesting to you as well as for other purposes related to our operations. Like many other similar websites and businesses, we use automated data collection tools, including Cookies and Web Beacons (both defined below), to collect certain information from use. b) “Web Beacons” (also known as “clear gifs,” “web bugs” or “pixel tags”) are tiny graphics with a unique identifier that may be included on our Website for several purposes, including to deliver or communicate with Cookies, to track and measure the performance of the Website, to monitor how many people visit our Website, for retargeting (advertising), and to monitor the effectiveness of our advertising. In contrast to Cookies, which are stored on a user’s computer hard drive, web beacons are embedded invisibly on web pages. h) To conduct surveys and analyses for research, statistical and product development purposes and achieve other purposes as may, from time to time, be permitted by law. We will only keep your information for as long as necessary to meet our commitments to you unless we are legally required to store your information longer. After this, we will delete your information. We do not sell your information to third parties. We may, however, share certain information with third parties, e.g. when it is necessary to fulfill an order, for administrative purposes, or when we are required by law. We forward information to third parties to meet our commitments to you. We may also supply your information to third parties for the purposes of credit checks, identity checks, monitoring credit rating and debt collection. Additionally, we will share your data if such sharing is required by law or to protect against potential or suspected fraud. Lastly, we may transfer your information as an asset in connection with a proposed or actual merger or sale (including any transfers made as part of an insolvency or bankruptcy proceeding) involving all or part of our business or as part of a corporate reorganization, stock sale or other change in control. If you do not want us to share your personal data in these manners, please do not provide it to us. We are committed to protecting the information we receive from you. However, as you may already realize, no data transmissions over the internet can be guaranteed to be 100% secure. Consequently, we cannot ensure or warrant the security of any information you transmit to us and you understand that any information that you transfer to us is done at your own risk. Nevertheless, we take appropriate security measures to protect your information against unauthorized access to or unauthorized alteration, disclosure or destruction of data. We strongly believe that the measures we have implemented reduce the likelihood of security problems to a level appropriate to the type of data involved. You can access your personal account to update your personal data. Please note, however, that you are responsible for maintaining the security of your username and password. Consequently, any actions taken while logged into your account will be your responsibility. We do not knowingly collect any personal information from children under thirteen (13). We do not sell products for purchase by children and all children's products we sell are for purchase by adults only. If you are not eighteen (18) or older, you are not authorized to use the Website. 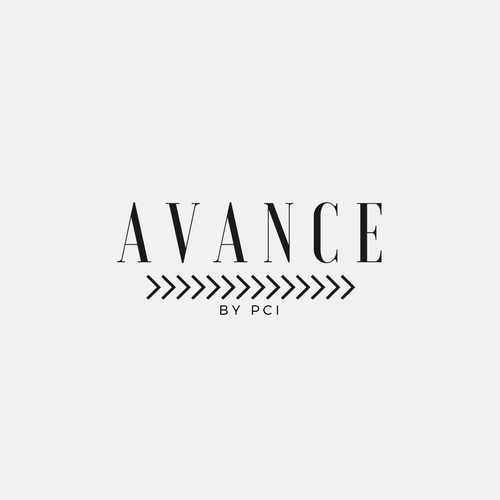 If you do not wish to receive e-mail communications from us, you can unsubscribe to them by following the instructions in the e-mails or send an e-mail to us at info@avancebypci.com. We will make commercially reasonable efforts to implement your opt-out requests with no unreasonable delay. However, please be aware that in some circumstances you may receive a few more messages until your request is processed. California residents may request and obtain from us, once a year, free of charge, a list of third parties, if any, to which we disclosed their information for direct marketing purposes during the preceding calendar year and the categories of information shared with those third parties. If you are a California resident and wish to obtain that information, please e-mail us at info@avancebypci.com. For your convenience, the Website may contain links to other websites. We do not evaluate and are not responsible for the privacy practices or the content of such websites. We strongly encourage you to review the privacy policies on each link to ensure that you are comfortable with these policies and practices.